1. See Philemon, Δοχίμιον, vol. 4, p. 488.
in particular . Four of Ziakas' cousins fell in the fighting there . Those who survived, ultimately returned to Grevená. It was after this that Yannoulis Ziakas was honoured by the Greek government for his services, with the rank of Chiliarch. The government also requested him to send a delegation to discuss his future activity in the fight for liberation, but his plans were betrayed and he was murdered when he was on the point of going south to liberated Greece. His assassination was organized by the Greek members of the delegation, who had come to an understanding with Veli, the Ağa of Grevená. There are good reasons for supposing that Mehmed Reshid Kütahya, then Paşa of Yánnina, was involved in the affair. Tradition, on the other hand, attributes the murder to Mehmed Tago, Paşa of Grevená (and possibly the father of Veli Aga) . Theodore Ziakas, who was guardian to the dead man's son, Nikolakis, undertook to avenge his brother's death. He had fled to southern Greece, where, according to a demotic song , he gathered together a group of brave warriors from Aspropótamos, under the command of Nasios Mandalos and Sotiris Stratos. They attacked Grevená, some time in 1831, ransacking the town and the neighbouring villages, but they did not succeed in penetrating the headquarters of Mehmed Tago . 1. See under «Ζιάκας» the article of G. Koromelas in Μεγάλη Ἑλλην. Ἐγκυκλοπαίδεια, and the relevant article of Takis Kandeloros in Ἐγκυκλοπαιδικὸν Λεξικὸν τοῦ Ἐλευθερουδάκη. See also Papaïoannou, Ὁ Ζιάκας, p. 7, where bibliography will be found. 2. See a report from the son of Goulas Ziakas in Papaïoannou, ibid., p. 30. See also p. 7, where there is further bibliography. 3. Papaïoannou, ibid., p. 30. 4. Papaïoannou, ibid., p. 9. 5. Ibid., pp. 8, 9, 11, where there is relevant bibliography. See also p. 30.
sentative of South-East Macedonia". After his meeting with Demetrius Hypsilantis, a month later, Kasomoulis wrote to Emmanuel Papas, on 5th October 1821 from Hydra, asking him to visit Olympus to meet the captains there and to "fire them with the required patriotic enthusiasm" . He also requested Papas to summon Nioplios from Siátista and to warn Anthimus Gazis to be prepared. In addition, he called Papas' attention to the important role that Náousa could play in the fight for freedom, pointing out that the city was "essential because of its unlimited fire-arms and men" . Fig. 209. Old house in Véroia. 1. Philippides, Ἡ ἐπανάστασις τῆς Ναούσης, pp. 37-39. 2. See the letter in Ἀρχεῖον Ἐμμ. Παπᾶ (Archives of Historical and Ethnological Society). of Siátista, and John Papareskas of Kastoriá, at the monastery of Dobrá, near Véroia. Amongst other things, they decided that the insurrection should be based on three towns: Náousa, a naturally strong defensive position with the additional advantage of a wall; Kastaniá, inaccesible and similarly easily defensible; and Siátista, which had an equally commanding strategic position . Véroia (see fig. 209) took no part in the action, because it was an important Turkish military base, and the majority of its population was Turkish. In addition, the intrepid Moslem Albanian defenders of Lála, in the Peloponnese , had been settled in the kaza of Véroia, and after their recent sufferings they felt very hostile towards the Christians living in the vicinity and were very likely to persecute them on the slightest pretext. Amongst these Albanians were the 60 or 70 families which had come from Patras to the castle of Platamón, according to an oral tradition of the village of Penteleïmon on Olympus. They had converted the church of St. Paraskevi into a mosque . 2. At the end of February, two fishing boats from Psará anchored in the harbour of Elevtherochóri, the only one in the Olympus region, bringing back Nicholas Kasomoulis, the emissary of the Macedonian freedom fighters. He had brought with him a small quantity of munitions which he shared amongst the captains of Olympus  and, on the night of 8th March, they launched an attack upon the Turkish forces which had pushed forward against Kolyndrós . As Kasomoulis relates in his "Memoires", the captains of Olympus were regarded as "Turk-eaters". All their statements were treated with great respect, for it was supposed that they were in direct contact with the great powers, especially Russia, and shared their secrets . 1. Philippides, Ἡ ἐπανάστασις τῆς Ναούσης, pp. 39-41. Lazarou follows Philippides in his Σιάτιστα, «Μακεδονικὸν Ἡμερολόγιον» 3 (1910) 147-148. See also Stouyannakis, Ἱστορία τῆς Ναούσης, pp. 148 ff. 2. Vasdravellis, Ἀρχεῖον Βέροιας - Ναούσης, p. 527. 3. Vacalopoulos, Τὸ κάστρο τοῦ Πλαταμώνα, «Μακεδονικὰ» 1 (1940) 75-76. 4. 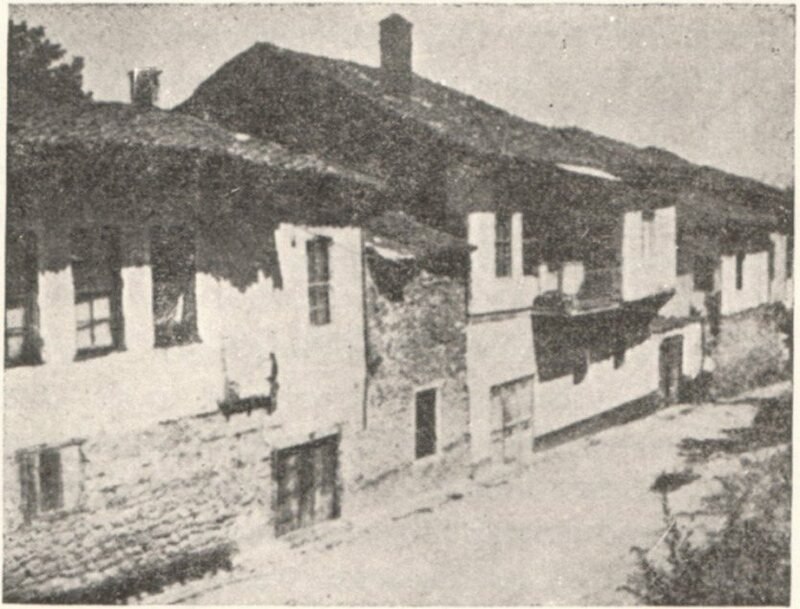 Kasomoulis, Ἐνθυμήματα, 1, pp. 187-194. 5. Kasomoulis, ibid., 1, pp. 184-187. 6. Kasomoulis, ibid., 1, p. 141. See alsop. 150. See too Raybaud, Mémoires, 2, p. 43.
by Demetrius Hypsilantis, and a considerable amount of munitions . Salas— a brave man, but vain and somewhat frivolous — was accompanied by an imposing complement of staff-officers, as well as some German philhellenes to take charge of the cannon. Also on board was the well-known and learned monk, Theophilus Kaïris . Immediately after their arrival, preparations were made for a joint-offensive in Central Macedonia. Nicholas Kanousis, the commander's aide-de-camp, was sent with letters to the captains of Vérmion, Karatasos and Gatsos and also to the notable, Zafirakis . At that time, Karatasos was in the prime of life. He was of medium height, well--built, with thick hair, a broad forehead, bright eyes beneath bushy eyebrows, and a thunderous voice. He was a pious man, dedicated to the liberation of his homeland, magnanimous, proud and honest. Furthermore, he was an energetic and experienced fighter. Against these virtues has to be to some extent his lust for power and his lack of education. More valiant, but inferior in military qualities, was his inseparable comrade of the same age, Gatsos, who was exceptionally tall, with a severe countenance and a rough voice. He was devout, unaffected, brave and trustworthy, but was capable of being underhand, ambitious and given to passionate rages. He had no education whatever . 1. Nicodemus, Ὑπόμνημα, Ι, p. 141. 2. Kasomoulis, Ἐνθυμήματα, Ι, p. 195. 3. Kasomoulis, ibid., 1, pp. 184-186. 4. See detailed description of two typical captains in Philippides, Ἡ ἐπανάστασις τῆς Ναούσης, pp. 34-36. 5. See Stouyannakis, Ἱστορία τῆς Ναούσης, p. 155. Vasdravellis, Οἱ Μακεδόνες, 2nd edit., pp. 255-256, where there is a translation of the document of Mehmed Emin Pasha. 6. Vasdravellis, ibid., p. 257. 7. Lascaris, La révolution grecque, «Balcania» 6 (1943) 155.
substantial sums of money were not released until the beginning of June, and 12 of their number died in prison . On 25th March 1822, Zacharias was appointed Metropolitan of Véroia. The choice was probably dictated by the Sultan's desire to have someone he could trust in that sensitive area . Fig. 210. The house of G. Lassanis at Kozáni. Korytsá. These measures show the intensity and the extent of the suspicions the Turks entertained about the Greek preparations. Only Náousa, which in this region was to play the role adopted by Polýgyros in Chalcidice, refused to provide hostages . It should be remembered that many of those who had emigrated from these areas, had already devoted themselves to the national cause abroad, such as G. Lassanis from Kozáni (see fig. 210), who became the close collaborator of Alexander Hypsilantis. 1. Lascaris, La révolution grecque, p. 159. 2. Zepos, Ἀνέκδοτα τουρκικὰ ἔγγραϕα, ΑΙΔ 11 (1944) 75-78, where there is an analytical list of his religious prerogatives. 3. Stouyannakis, Ίστορία τῆς Ναούσης, p. 155. On the arrest of the notables of Kastoriá see Tsamisis, Καστοριά, p. 43. Soon after the submission of Athos, Mehmed Emin began to move his troops towards Vérmion and Olympus, with great speed and secrecy. The castle of Platamón (see fig. 211) took on a new strategic importance for the Turks, for it provided a fortress and launching-base of considerable significance in that turbulent area . Fig. 211. The castle of Platamón. South-east aspect. four or five days before Salas arrived on Olympus, was the beginning of a fresh uprising inMacedonia . 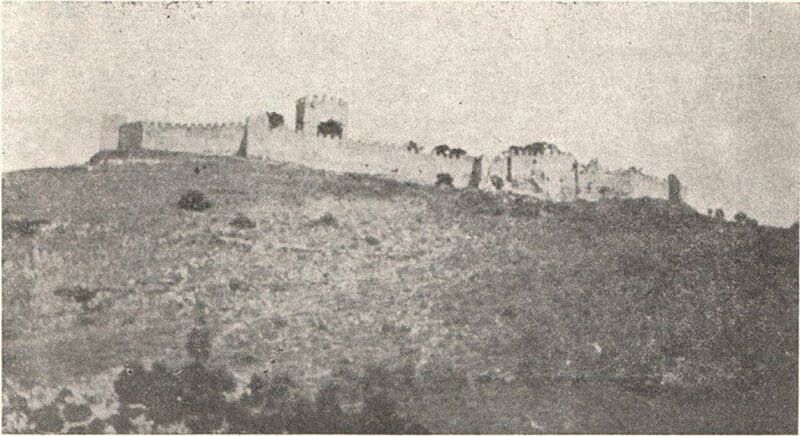 All the Turkish sallies from Kolyndrós were repulsed, a task made easier by the emplacement of two cannons by the Germans on strategic heights, from where they bombarded the town. The roar of the cannon echoed thunderously throughout the deep gorges of Olympus and reverberated over the mountains Karatás and Vérmion and across the plain of the Axiós as far as Thessalonica, giving fresh heart to the Christians . 1. Vacalopoulos, Τὸ κάστρο τοῦ Πλαταμώνα, «Μακεδονικὰ» 1 (1940) 67. 2. 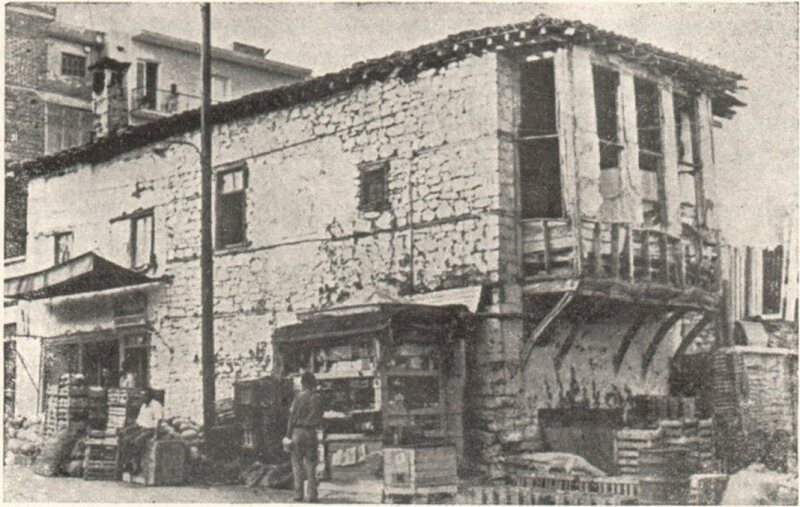 Kasomoulis, Ἐνθυμήματα, 1, pp. 187-194. 3. Kasomoulis, ibid., 1, pp. 194-198.
to retire to a higher position in the village of Áyios Demétrios . 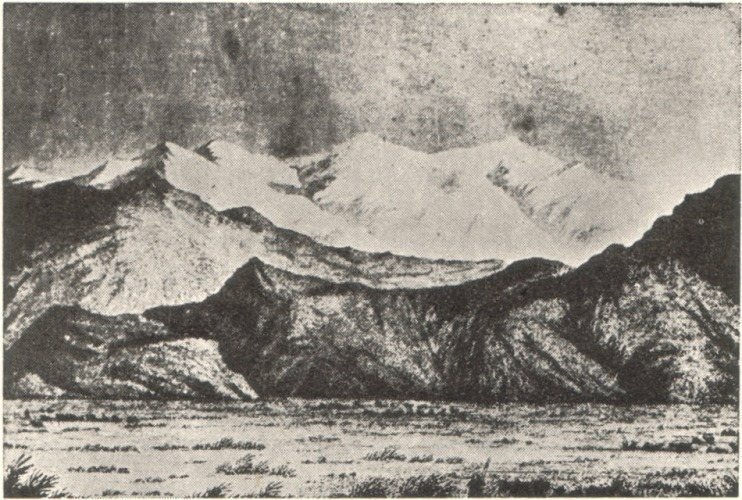 Α great deal of snow had fallen and the Greek units near Kolyndrós, unable to withstand the terrible weather, withdrew to Kastaniá. This village, however, nestling deeply in a valley, would have been vulnerable to cavalry attacks, and most commanders decided to ascend to Meliá, the native village and armatolık of the Lazos brothers, and in close contact with the captains of Hásia. The commanders' decision was also influenced by the bad news from Náousa, which will be discussed later. Only Diamantis remained in Kastaniá, which he proceeded to fortify, against the advice of his lieutenants. He was to pay dearly for his mistake. On 30th March, the Turks easily penetrated his defences and poured into the Greek trenches, yatagans in their hands, killing many and pursuing others through the valleys as far as Rántiani (present-day Ryákia). The head-strong Diamantis was very much aggrieved and inconsolable at the death of his men, who had been needlessly slaughtered. He arrived at Meliá with only 30 men, and remnants of his group were still appearing there up to 1st April (Easter Saturday). It was finally established that about 150 of Diamanti's men had survived. The Turks were quick to exploit their success and attacked the Greeks concentrated around Meliá on Easter Day . The defenders were overwhelmed and, in the confusion, Diamantis and his men were cut off from the rest and made for Náousa to reinforce Karatasos and Gatsos in their engagement with Mehmed Emin. The villages around Olympus as far as the banks of the Peneus River were burnt down and their inhabitants dispersed. Some forty years later, the survivors who had ultimately returned to their homes recalled this period of destruction with great sorrow, remembering the great things they had expected from the armatoli and blaming them for lack of resolution in this action . These events are described by the French consul at Thessalonica, Bottu, in a report to his government, as yet unpublished, dated 3rd April 1822. "The efforts", it reads, "which have been made to stir up the districts of the Vardar River, Kateríni, and villages as a far way as the Baba gorges and the foothills of Ossa, are unfortunately meeting with success. Fighting broke out in those areas 15 days ago, with Turks, Greeks and klephts competing madly to destroy this lovely countryside. 1. Kasomoulis, Ἐνθυμήματα, Ι, pp. 198-199. 2. Kasomoulis, ibid., 1, pp. 199-201, 205-212. 3. See Heuzey, Le mont Olympe, pp. 73-74. See also on p. 78 mention of the village of Skotína, which had churches dating from 1659.
of which the Pasha has great need. The type of warfare favoured by the klephts causes tremendous losses on the Turkish side; a fact which they admit themselves (and this very admission confirms the terror which gripped them). Mehmed Pasha must have sustained serious losses in men. The Greek warships, which are in constant touch with the rebels, patrol every part of the Gulf, harassing all coastal areas and shipping, including trading vessels — even those flying the French flag. They threaten to turn the blockade of Thessalonica into a full-scale siege in concert with the units which are attacking Mehmed Pasha. In the eyes of these Greeks the issue is not in doubt. Awaiting the materialisation of their threats, they sometimes approach quite near to the town and seem bent on destroying the defensive works which have been set in motion with considerable energy at the cape of Karaburnú" . 1. Ministère des Affaires Etrangères. Correspondance Consulaire. Salonique, vol. 19 (1822-1824) pp. 60-61. The Macedonian freedom fighters lost no time in removing their families to safety within the forests of Olympus. This done, they made their way to deserted stretches of the coast, where they eventually boarded ships (probably from Litóchoro) to cross to the Northern Sporádes, which had already been chosen as an asylum by refugees from Thessalo-magnesia and Chalcidice. Those revolutionaries who attempted to flee overland to liberated Greece faced a more difficult journey, and their march often ended in tragedy. Struggling along the mountain ridges, they made an arduous and dramatic trek over snow-covered Piéria, Olympus, Hásia and Pindus until they reached the Aspropotamos River. During the retreat through the icy snows of Olympus (see fig. 212), a number of the German philhellenes, who were unfamiliar with the terrain, slipped and were lost forever in the deep gorges. After endless anxieties and hardship the other revolutionaries set foot at last on the free of the Aspropotamos valley, in the armatolık of Nicholas Stornaris . 1. See Kasomoulis, Ἐνθυμήματα, 1, pp. 199, 204-219. See further bibliography in A. Vacalopoulos, Πρόσϕυγες καὶ προσϕυγικὸν ζήτημα κατὰ τὴν ἐπανάσταση τοῦ 1821, Thessalonica 1939, p. 22.